Reopened recently, Singapore Marriott Tang Plaza Hotel Level 5 Pool area features a tranquil environment and the award-winning Pool Grill restaurant in the bustling Orchard Road. Settling itself next to the refurbished pool, it is the excellent choice for a relaxing lunch or catching up with friends over Sunday brunch; patrons can also choose to chill with a refreshing cocktail or beverage by the pool. Pool Grill restaurant offers a surprisingly affordable 3 course lunch menu at just $33.00++ per pax inclusive of free-flow ice teas and hot beverages. 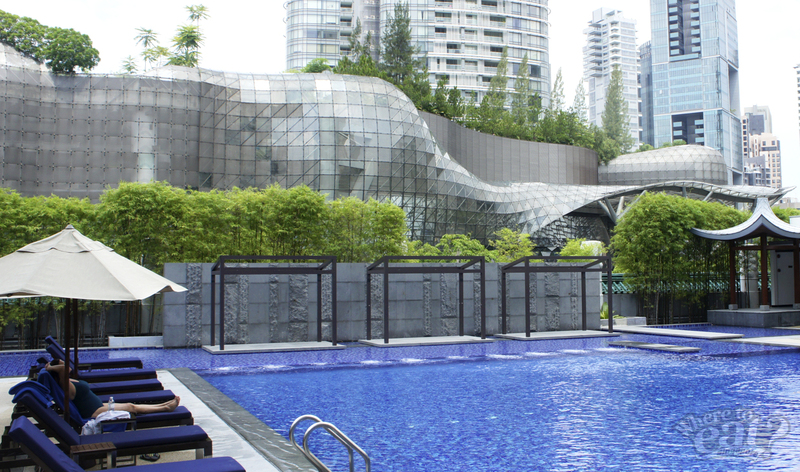 We say it’s pretty cost-effective for such an outstanding ambience in the heart of Singapore. 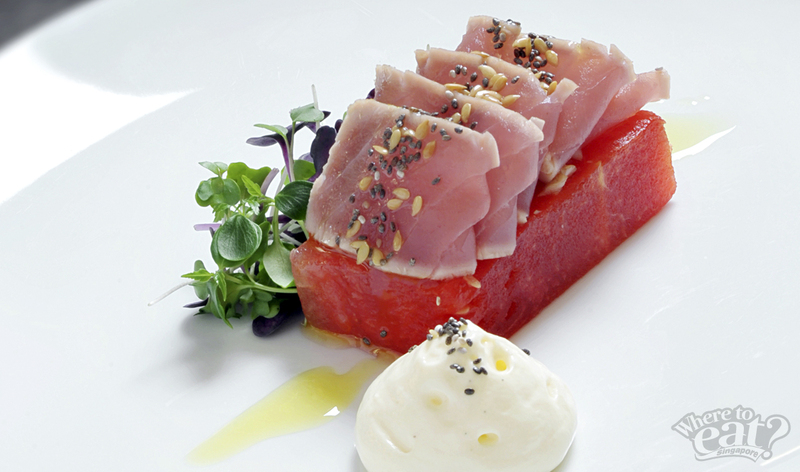 Fresh slices of tuna tataki (seared on the outside, left very rare inside) laid on top of a rectangular piece of compressed watermelon, garnished with chia & flax seeds, with a side of goat cheese mousse to enhance the freshness of the fish. 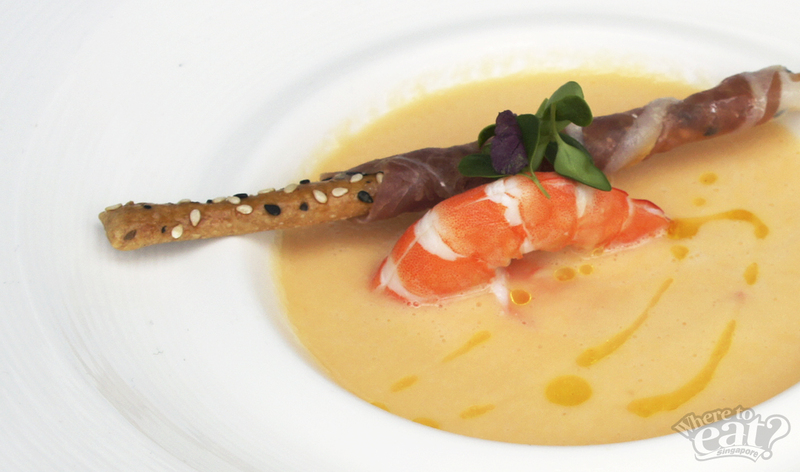 Beat the heat with a mildly sweet melon soup with fresh, juicy prawns. Also, dip the biscuit that’s wrapped with a thin slice of cured, air-dried Spanish ham for a tinge of saltiness. 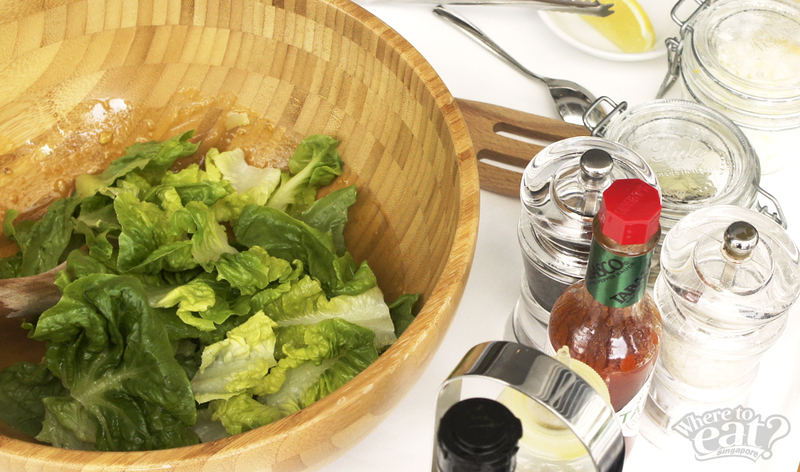 Prepared and served by your tableside, patrons can cool down with a classic refreshing summertime Caesar salad studded with bacon strips and croutons on a bed of romaine lettuce. 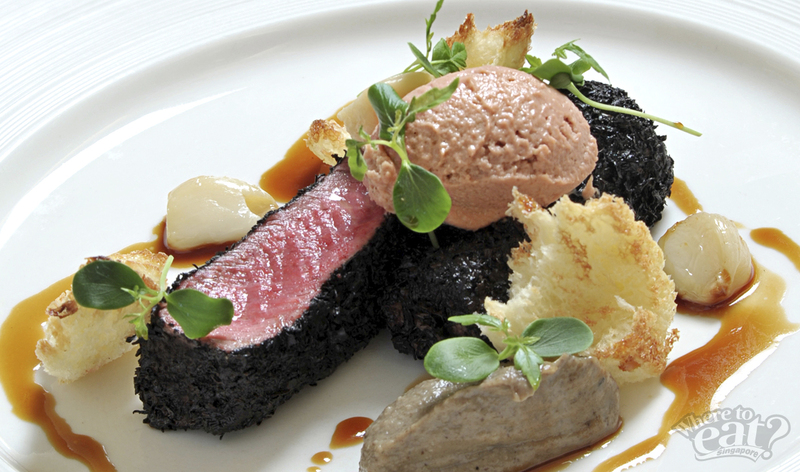 Pinkish lamb loin strips sits beautifully in the center of the plate and the side, a spoonful of luxurious buttery foie gras. 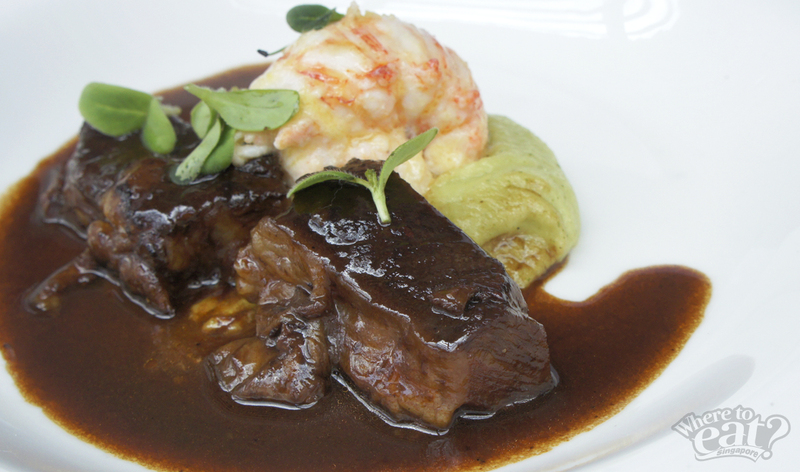 Firm and sweet lobster meat lying on top of creamed verde potato, drenched in the sauce of braised beef short ribs that’s tender to the bite. 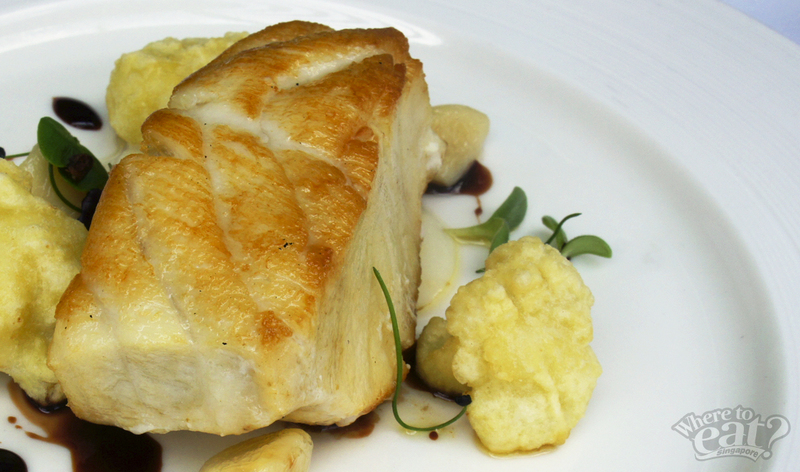 A pleasant heft of fresh briny cod fish, adorned with cauliflower tempura, and then completed with confit garlic and shiraz reduction. 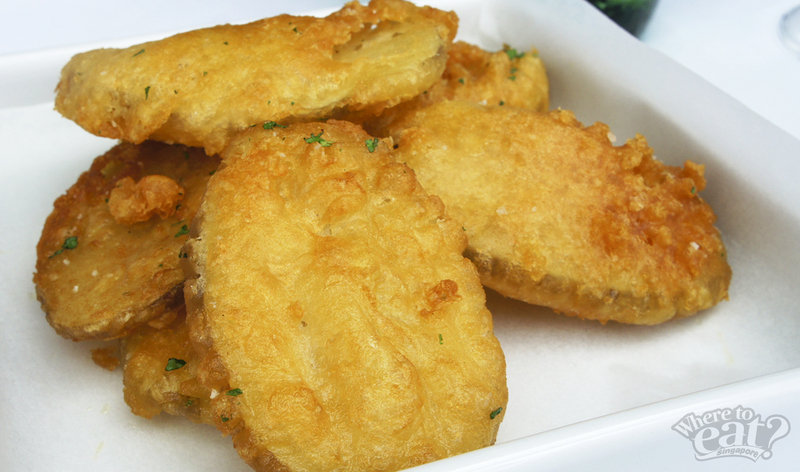 A typical snack transformed into an exciting snack at Pool Grill – potato fritters coated with beer batter and deep fried before sprinkling truffle salt over for a nice nuance flavor. Other side dishes such as grilled asparagus with parmesan shavings is fresh, crisp, sweet when grilled and its flavor further lifted when dressed in parmesan shavings. The other notable side dish, thyme & garlic sauteed mushrooms are a great accompaniment for your meal. Even if you’re not hungry enough for a full meal, you can head down for a cup of coffee accompanied by their range of desserts. 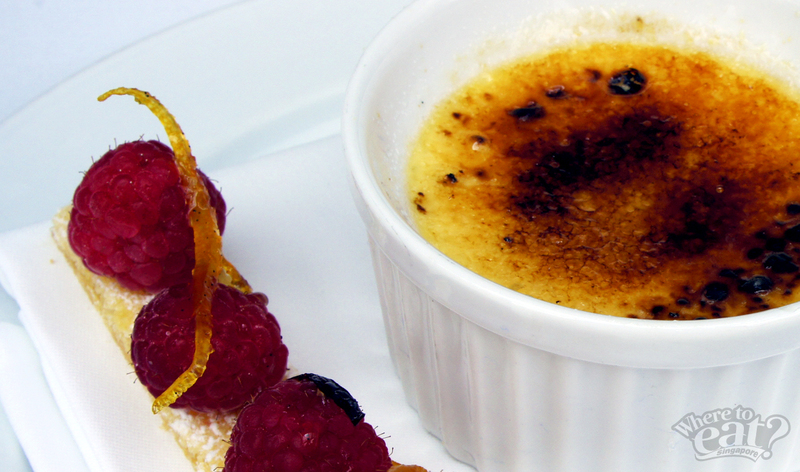 Their vanilla creme brulee – a silky vanilla custard underneath the thin crispy layer of caramelized sugar – is served with wild, juicy raspberries on pastry at the side. 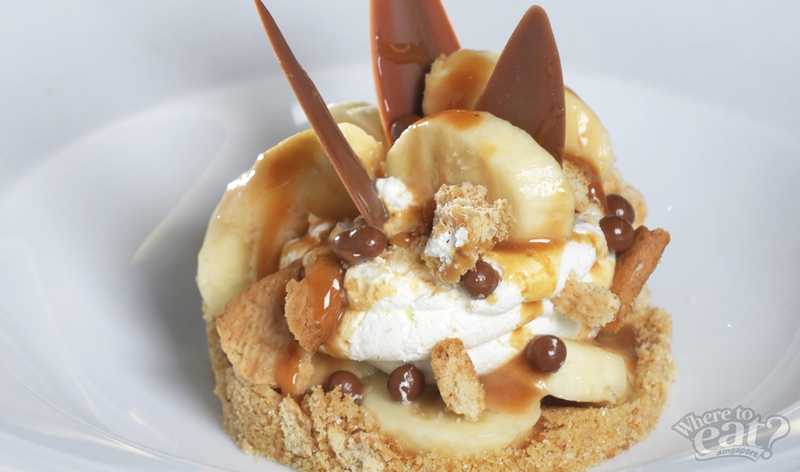 A classic English dessert, often made as a pie, is altered at Pool Grill into an individual serving of cream on top of crusty base, with banana slices at its side and dribbled with caramel sauce. 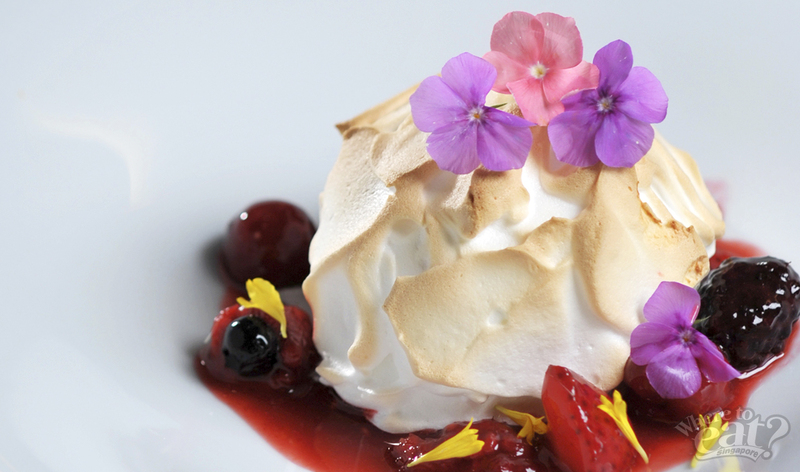 The visually stunning Bombe Alaska – soft berry ice cream enrobed in meringue and then flambéed with alcohol – is the dish to go if you are looking for something to dazzle your date.